"The pension is very well located and the owner super helpful..."
Have a question for Marikit Pensionne? "Enjoy the beaches and the snorkeling and lower your expectat..."
For travelers who want to take in the sights and sounds of Palawan, Marikit Pensionne is the perfect choice. The hotel lies 268.5 Km from the city center and provides accessibility to important town facilities. With its convenient location, the hotel offers easy access to the city's must-see destinations. 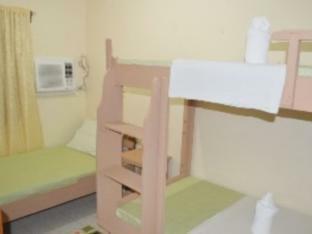 Marikit Pensionne also offers many facilities to enrich your stay in Palawan. To name a few of the hotel's facilities, there are Wi-Fi in public areas, car park, family room, tours, laundry service. Guests can choose from 8 rooms, all of which exude an atmosphere of total peace and harmony. The complete list of recreational facilities is available at the hotel, including garden. Superb facilities and an excellent location make the Marikit Pensionne the perfect base from which to enjoy your stay in Palawan. "The location of the hotel is excellent." The electricity is not available from 06:00 AM to 02:00 PM. There are no banks or ATMs in town. Credit card facilities are not available in most places. For island tours, an Eco-Tourism fee applies. Kindly contact the property for more details. Foreign currencies and travelers cheque in USD can be exchanged in some shops. Very impressed. Beautifully clean and they can't do enough to help you. The pension is very well located and the owner super helpful. The breakfast is philipino style but "when in the Philippines, live like a philippino"
The location of the hotel is excellent. Upon our arrival, the owner had given our twin room away despite us ringing and emailing requesting twin beds. We were told by the owner that we were wrong and ended up sleeping in a double bed. Annoyingly, we had paid double the price of other rooms in El Nido to have hot water and there was no hot water. The towels were extremely stained and unpleasant. There were tarantula sized spiders in the room. The next day they gave us a different room with twin beds and hot water but the issue with this room was the rodent "activity". Now, when it comes to sleeping, I'm a heavier sleeper than the average person. Every. Single. Night. I was woken up by what I assume were rats "galloping" across the ceiling, scratching at the wall right next to my head and squealing throughout the night. At times it sounded like they were in the room. We absolutely loved El Nido but definitely would not recommend this hotel. As us expats say in Thailand, lower your expectations and you'll be a lot happier. That goes double for El Nido. All the hotels are very basic. Small rooms, questionable facilities and no matter where you are in the Phils...poor, if any Internet. This was the best place I stayed of the three places I stayed but none of them were much to write home about. Enjoy the beaches and the snorkeling and lower your expectations on rooms to enjoy the place. Friendly staff, clean, in the center of el nido(noisy in the early morning but like everywhere in el nido). Worth the price for el nido cause everything is more expensive there. Place was dark with a very tiny bath room. No hot water, need to ask for toilet paper, room clean, water glasses or anything you would normally expect to have. Toilet not good enough to handle toilet paper. Was in a good location but expected much more for the money. Location is good for island hopping, friendly staff, room ok considering the price. Stayed for few nights while island hopping. I only slept at the hotel. Staff was kind and friendly although not talkative. Very basic level hotel that offers you a decent place to sleep on a budget. 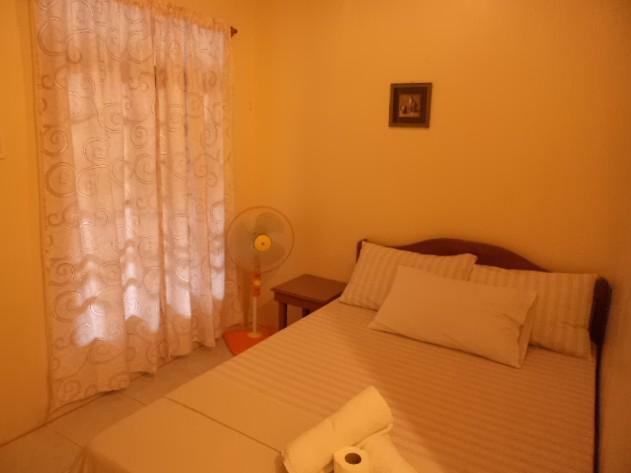 Located near the center so easy access to island hopping and restaurants of the area. I highly recommend this hotel, it's peaceful and quiet although it's really close to all important places. The staff was very helpful, the room was clean and functional and the bed was comfortable. You can order breakfast (pancake/bread with sunny side up egg and a banana, coffe and juice) for only 100 peso and eat it on a pleasant porch in front of your room. There are also good restaurants nearby. Perfectly located off the high street, so less noise from the tricycles, but less than 5mins walk from beach. Clean facilities with running water. Enjoyed the complementary coffee each morning. It was my first time in El Nido. The Pensionne was perfectly located off the high street, so there was much less noise from the tricycles, but still less than 5mins walk to the beach. Clean facilities with running water - which isn't always a given in the rural areas of the Philippines. The host was helpful and I enjoyed the sweet complementary coffee each morning. Thanks! Clean, close to the beach, quite. room is clean but small. even though the hotel is away from main street, we liked that because the motorcycles are pretty noisy. El Nido is a very small town, super easy to get anywhere with feet. The staff is nice, the room is ok, AC work well but hot water machine only work sometimes... This is a nice choice with budget travelers. La situation, le petit déjeuner, le personnel serviable, hôtel typique. L'hôtel étant bien situé nous a permis de faire nos balades nocturnes à pied tout en étant proche des petits commerces et restaurant. Petit bémol pour la très petite salle de bain et pas d eau chaude. 필리핀 관광객들이 새벽5시부터 너무 시끄러웠음.. 직원들도 친절하고 위치도 좋았지만 새벽5시부터 필리핀 관광객들이 마당에서 시끄럽게 밥먹고 하는 바람에.. 그럼 직원들이 제재를 했어야하는데 . 아무런 조치도 없어서 결국 우리가 승질냄.. 그래도 똑같이 시끄러움 ㅡㅡ 샴푸린스치약칫솔 아무것도 없어 당황하긴 했지만 가격대비 나쁘지 않음 필리핀 단체관광객만 아니였음 더 좋은 점수를 줬을거임 참고로 엘니도는 스노클링투어 1200페소에 스노클링장비 점심 다포함인데 여기펜션에서 예약하면 장비비 100페소를 더 달라고함 ㅡㅡ 근처에 예약하는곳 많으니 다른곳에서 예약하길..